The real pasta, or marzipan, is a compound of almonds and sugar widely used in Sicily. the paste is modeled with professionalism and it’s colorful. 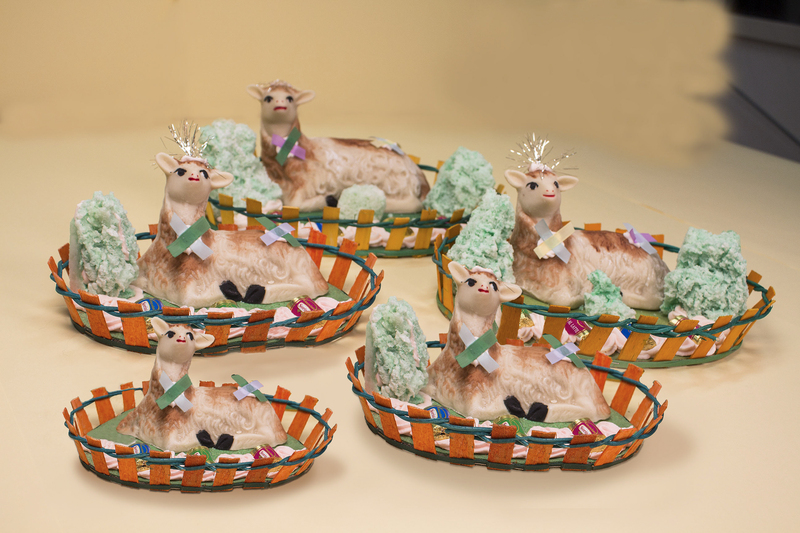 This sweet, choreography involves sheep lying on a green grass sprinkled with chocolates.